What if crime was legal for one night, once a year, without any consequences? Would you run and hide or would you participate in the annual ritual? 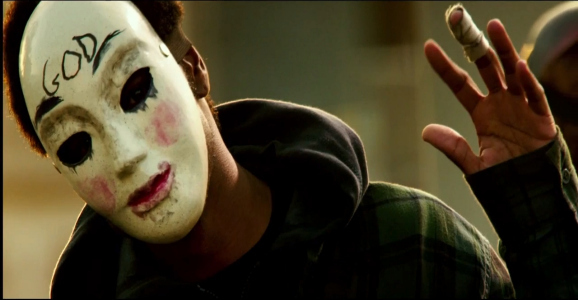 This is the unique, terrifying, and thought-provoking idea behind The Purge movies. The mastermind behind this crazy concept is writer/director James DeMonaco, known for writing action movies with moral dilemmas, like The Negotiator and the remake of Assault On Precinct 13. In honor of the release of his newest installment, The Purge: Anarchy, we examine what led to the creation of an unlikely franchise and how the news served as inspiration. The movies provide a reflection of our society run amok, more than we would like to admit. The conceit of the idea originated with a few different factors. According to an interview with Blumhouse Productions, DeMonaco says, "the seed came from the news both here in America and abroad (in Canada and France), my addiction to non-fiction crime journalism, and finally from a statement my wife made after a road rage incident. I was living in France, posting a movie, and took notice of how different the news was there – less crime reporting, or simply less crime. The same happened when living in Canada. I began doing research on violence in America and quickly saw that we seemed to have a very unique relationship with crime (and guns) here in our country. Then, several years later, my wife and I were in a road rage incident in Brooklyn, New York – after which she said a very strange thing – 'We should all get a free one (murder) a year.' I was shocked that this would come from my wife’s, a doctor’s, mouth – but it stayed with me and eventually became The Purge – a new holiday in America where murder was legal for a single evening every year to release aggression." In the first installment, The Purge, the year is 2022, the sanctioned service is about to commence. According to the government, the purge allows economical growth and a society free of homeless, sick, and unproductive people. James Sandin (Ethan Hawke) is a successful salesman who sells security systems for houses. He lives with his wife Mary (Lena Heady) and his teenage son Charlie (Max Burkholder) and daughter Zoey (Adelaide Kane) in a fancy house in the suburbs. 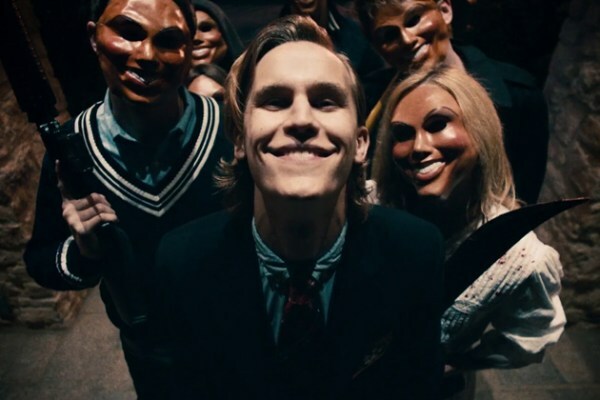 During the purge, James seals his house and plans to watch a movie with his family. However, Charlie sees a stranger fleeing from a group that is hunting him down and he disarms the security device and lets the man in. But the leader of the group gives an ultimatum to James: if he does not deliver the man to the group, they will kill the whole family. The movie was shot on a minuscule budget of $3 million and grossed a surprisingly strong $89.3 million worldwide. It was successful for bringing a fresh and original concept to the tired horror genre, though the movie played more like a morality-play/thriller than a slasher flick. There were some critics who believed the first movie did not take the concept further and kept it confined to a home-invasion setting. According to an interview with Complex, DeMonaco explains, "I think when I first wrote it, I told myself it was a tiny little film. I never thought it was a commercial thing. I thought maybe Lionsgate would release it, but not Universal [Pictures]. That’s what freaked me out—when Universal said they were interested and wanted to put it on 3,000 screens, I freaked out a little bit. It’s so tiny and it has an anti-American feeling to it, which I always thought was why it would never get a big commercial release. And I also knew who the target audience was, because I’m the audience for these movies; I grew up loving movies of this kind, so once we finished the first movie and it came out, I knew there was a promise in the concept that we didn’t deliver upon. I had this great fear that came true. [Laughs.] I was afraid that a lot of these great movie writers online would jump on the fact that I didn’t go outside, and that happened. Now with the arrival of the second installment, The Purge: Anarchy, DeMonaco pushes the idea further and out into the city. In the movie, a couple are driving home, when their car runs out of gas, just as the purge commences. Meanwhile, Leo (Frank Grillo) goes out into the streets to get revenge on the man who killed his son, and a mother and daughter run from their home after assailants destroy it. The five people meet up as they attempt to survive the night in Los Angeles. Audiences will get a chance to judge for themselves if DeMonaco delivers on his promise on expanding the premise. In the meantime, DeMonaco has given us something provocative, in terms of asking ourselves, would we have the need to purge?